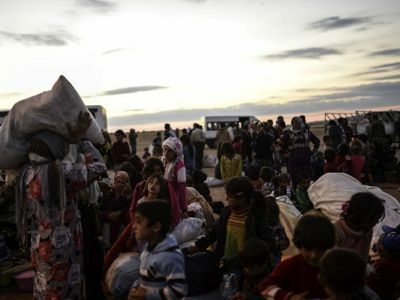 The Syrian Kurds have asked Syria to help them because Turkey is threatening them. President Erdogan treats them as an extension of the Kurds in Turkey who want independence from Turkey. During the main part of the war in Syria (which seems to be tailing off now) the Kurds fought the Takfiri rebels. The United States, which supplied a lot of the so-called rebels including ISIS (indirectly at least) at times appeared to support Kurdish independence, using them as a lever against the Syrian Government. The Kurds had been offered control of their own department by the Syrian Government, but not actual independent state status. The US rewarded a Kurdish independence movement against Syria, although it is not clear that all Kurds in Syria really wanted this. The region also contains substantial minorities of Arabs and others whom a separate Kurdish state might not have suited. Until Russia intervened in the war (at the invitation of the Syrian Government) it looked like the United States backed terrorists were going to tear the country apart. The UN and NATO and its allies, including Australia, all supported this with a policy of removing President Assad and splitting Syria into many little states. The western public and corporate media provided propaganda to support this. Western readers were given no critical comparison with the prior destruction of Afghanistan, Iraq and Libya, states destroyed by the same kind of tactics. YouTube gave great comfort to these lies when it suddenly removed all of the Syrian Presidency's interviews, claiming some breach of advertising. [Suddenly some of them are back, as the wind is changing.] Since the insurgency began in 2011, Turkey provided a covert base for terrorists to attack Syria from. After Russia intervened with the invitation of Syria, the US, which was an illegal and unwelcome presence in Syria, tried to get Turkey to support it. As it was also promoting the idea of the Kurds having an independent state, Turkey's support could never be relied on. Turkey could always align itself with the Russians, although, in the end, it seemed to prefer to be independent and it has its own ambitions to dominate the region. By outing the murder of the journalist, Kashoggi, in the Saudi Embassy in Turkey, Turkey has made itself look a bit respectable, but it is not inconceivable that Erdogan is supporting the ruling elite in Saudi Arabia against the Crown Prince, for strategic purposes. No-one really knows. Whilst Turkey is not a Wahabist state, Erdogan is a leader in the Muslim Brotherhood, which wants to establish a new Muslim caliphate in the Middle East and much of Europe. Syria is a multi-religion state which includes many Christians and it does not support a Muslim caliphate. This editorial is by Sheila Newman and James Sinnamon, candobetter editors. We have republished the following report on the state of the war in Syria from RT. U.S. imperialism’s deteriorating position in the Middle East was confirmed on Jan. 17, by Secretary of State Rex Tillerson’s bold assertion for U.S. plans in Syria. The arrogant statement was followed, within hours, by almost immediate backpedaling. The regional and international standoff headed by Saudi Arabia against Qatar is not going to be resolved anytime soon. What does the simmering crisis mean? And why has Donald Trump taken the Saudi side? CrossTalking with Sharmine Narwani, Mohammed Cherkaoui, and Foad Izadi. Well, Erdogan is still in situ. No-one is sure whether this was a real attempted coup or a false flag. Erdogan is already infamous for imprisoning journalists who do not toe his line and now it is feared that Erdogan is now going to use this incident to ramp up his power in new terrorism laws which will be used to further repress the Turkish people. There are also fears that attempts to bring in a new non-secular constitution might gain somehow from the shoring up of Erdogan's power post-coup attempt. Erdogan is known as a covert supporter of the extreme aims of the Muslim Brotherhood. Inside we have republished a statement from the Turkish Communist Party, which insists that neither the government nor the parties to the coup were operating for the good of Turkey. the airforce and then the jandarma and when we heard the Army had joined, it was clear it was all over. Erdogan is reported to be out of the country or on his way back Ankara. AKP has called on supporters to take to the streets. I think it is all over for the AKP. A very big explosion at Army HQ. Army taking over police HQ - police are iwth the AKP. Shooting in the diplomatic/parliamentary district of Ankara. Helicopters overhead ... martial law imposed. I think it is all over for Erdogan. We must ask whether the Turnbull government acknowledges Turkey’s support for the Islamic State, and what action it intends to take against the Erdogan regime’s aggressive and destabilising behaviour. We must also ask whether the Australian airforce will continue to conduct bombing runs in coordination with the US coalition. Not only have Turkish actions put us in conflict with that coalition, operating out of Incirlik, but there is another danger. Russia has stated that there no further threats to Russian servicemen and assets will be tolerated, from unauthorised foreign parties. video inside:In a huge stunning announcement yesterday by the Russian Foreign Minister, Russia presented direct evidence of Turkey buying illegal oil from the black market supporting terrorists. In this video change.org goes over the important revelations by the Russians, their consequences and the shift of the geopolitical field. The western mainstream media is simply not reporting this because it runs totally counter to their spin. If the western media were to properly bring this news to their readers, they would have to explain the torrent of lies they have issued forth so far in order to justify war. The western media is historically pro-war and Australians, Americans, British and Europeans who rely on the mainstream media alone never hear both sides. This important article, republished from Counterpunch documents new evidence indicating that Turkey, (Australia's ally), was probably responsible for the war-crime of using sarin gas against Syrians, an act which the western press has repeatedly accused the Syrian Government and used to justify the west's support for war against it. In Turkey, two deputies from the main opposition Republican People’s Party (CHP) have claimed that the Turkish government is against investigating Turkey’s role in sending toxic sarin gas which was used in an attack on civilians in Syria in 2013 and in which over 1,300 Syrians were killed. CHP deputy Seker spoke after Erdem, pointing out that the government misled the public on the issue by asserting that sarin was provided by Russia. The purpose was to create the perception that, according to ?eker, “Assad killed his people with sarin and that requires a US military intervention in Syria.” He also underlined that all of the files and evidence from the investigation show a war crime was committed within the borders of the Turkish Republic. “The investigation clearly indicates that those people who smuggled the chemicals required to procure sarin faced no difficulties, proving that Turkish intelligence was aware of their activities. While these people had to be in prison for their illegal acts, not a single person is in jail. Former prime ministers and the interior minister should be held accountable for their negligence in the incident,” Seker further commented. Full article inside. - This introduction by candobetter.net editor. Candobetter.net Editor: This article is about the US contribution to the radicalisation of the Middle East. 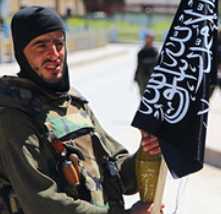 In reality there is no dividing wall between the 'extremists' and 'America's supposedly moderate opposition allies'. Recently both Turkey and Saudi Arabia, which operate out of US-led command centers in Turkey and Jordan, signed a pact to coordinate support to al-Qaeda and other extremist groups in order to further attack the Syrian government. This article was previously published on SANA as Protests in Turkey in support of Syrians and against Erdogan-backed terrorism (1/5/15). Update (4/5/15): Israeli occupation forces continue treating terrorists wounded in Syria (4/5/15) | SANA, Al-Jaafari: Syria first line of defense against extremism and terrorism (4/5/15) | SANA, 4 Turkish officers killed in joint raid by Syrian army and Hezbollah on NATO-backed terrorists’ command centre in Idlib (2/5/15) | Syrian Free Press, At least 52 civilians dead in US-led strikes in Syrian village: not even a terrorist among those killed (2/5/15) | Syrian Free Press, Turkey to start training terrorists on May 9 | PressTV (2/5/15): New protest in Turkey demanding a halt to terrorism-supporting policies of Erdogan | SANA. Ankara, SANA – Unions, civil society organizations, and political parties in Turkey organized a protest in Taksim area in Istanbul on Friday to express solidarity with the Syrian people and to denounce the support provided to terrorists by Recep Tayyip Erdogan and the Justice and Development Party government. The protestors rallied in front of Galatasaray School in Taksim area, denouncing the terrorist organization Jabhet al-Nusra and the government of the Justice and Development Party. Speeches delivered during the protest held the Justice and Development Party responsible for the massacres committed against Syrian people, calling for stopping all the military and logistic support provided by the Party to ISIS, Jabhet al-Nusra, and ISIS terrorists. Itai Anghel: No Free Steps to Heaven (Four Corners, No April 27, 2015.) This is an amazing video showing how female Kurdish fighters claim they are causing ISIS fighters to turn and run. Although the female soldiers are obviously well-trained, effective, and brave, they say that ISIS soldiers run away because they believe that if they are killed by a woman, they will go straight to hell. If they are killed in battle by men, they think they will go to heaven. Two prisoners identified as captured ISIS soldiers affirm that this is true. Previously published (23/3/15) on SANA. 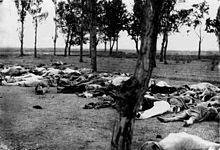 Yerevan, SANA – Syria expressed on Thursday at a global forum its condemnation of the genocide which the Ottoman Turks committed against the Armenian people in 1915. The global forum "Against the Crime of Genocide" was held in the Armenian capital Yerevan commemorating the Centennial of the well-known genocide, which is marked on April 24 every year. Delivering Syria's speech, Speaker of the People's Assembly Mohammad Jihad al-Laham said history will not forgive those "who didn't learn the lessons of wars on other peoples." See also: Hockey abandons plans to speak at Armenian "genocide" centenary ceremony as Tony Abbott prepares to attend ANZAC Day services at Gallipoli | The Australian (24/4/15), Syria recognizes the Armenian Genocide committed by the Ottoman Empire, Parliament Speaker says | Public Radio of Armenia (24/4/15), Millions worldwide mark 100th anniversary of Armenian genocide (PHOTO, VIDEO) | RT (25/4/15), Armenia, Turkey still at odds a century after 1915 massacre | RT (22/4/15) and other articles about the Armenian Genocide. See also: VoltaireNet | Western wars have killed four million Muslims since 1990 (11/4/15), Land Destroyer | Syria: America's Democratic Terrorists? (10/4/15), other related articles. Those rightly outraged at the murder of Tori Johnson and the death of Katrina Dawson on 16 December at the end of the Martin Place siege and at the murder of 11 people on 7 January 2015 in Paris by terrorists (see embedded Syrian Girl video) should also contemplate the fact that, since March 2011, the people of Syria have suffered terrorism on a scale which is vastly greater than these two tragedies. Since March 2011, they have faced an invasion by hordes of foreign terrorists coming from almost every corner of the globe and not just the Arab world. These invaders have been paid for and supplied by the United States, its European allies and its allies amongst the Arab dictatorships including Saudi Arabia and Qatar. So far, over 200,000 Syrians have been killed at the hands of these terrorists. 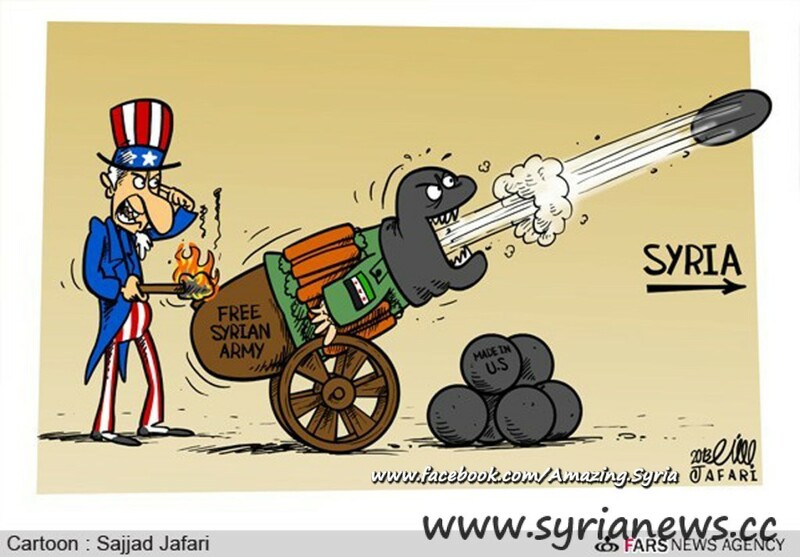 As a consequence, the Syrian government has demanded of the United Nations act against the terrorists' sponsors. The article below was previous published in SANA (12/4/15). Good to see men showing courage on behalf of women in Turkey! Turkish President Recep Tayyip Erdogan on Wednesday mocked men who wear skirts, in an apparent jibe at activists who wore female clothes at the weekend in a protest supporting women's rights. Report of 2 Jun 2013 is republished from PressTV. Like Melbourne's Royal Park, Taksim Square is one of Istanbul's few remaining public spaces. It is also threatened with destruction to suit the selfish needs of developers who wish to erect high-rise residential towers. See also: OccupyGezi! OWS activists stage pro-Turkish rally in New York of 1 June in Russia Today, OWS activists in US rally in solidarity with Turkish protesters of 1 June in PressTV. Thousands of anti-government protesters have reoccupied Istanbul's iconic Taksim Square despite heavy-handed police crackdown. Thousands of people returned to Taksim Square on Sunday following two days of violent demonstrations that saw almost 1,000 people arrested. First published on PressTV, 12 May 2013 as Protesters tell Erdogan to resign. Other reporting (and misreporting) of Reyhanli terrorist bombing, and issues arising, includes: Information Minister: Turkey Bombings Terrorist Act Condemned by All Standards - SANA, Turkey blames Syria over Reyhanli bombings - Guardian, Turkey says Syrian forces behind border town bombings - Reuters, Dozens dead in Turkey car bombings - Brisbane Times, Turkey claims Assad loyalists bombed Reyhanli - , Blasts kill dozens in Turkish town Reyhanli on Syria border - BBC, Iran slams explosions in Turkish city of Reyhanli - PressTV. Turkish protesters have called for Prime Minister Recep Tayyip Erdogan to step down following two car bombings in a town near the Syrian border. ISTANBUL, (SANA) - Istanbul university students foiled on Thursday efforts of the Turkish Red Crescent and the jurists youth club to establish an activity under the pretext of "collecting humanitarian aids to the Syrian people" which really aims to support the armed terrorist groups in Syria. Part of the NATO Patriot anti-missile complexes, which were requested by Ankara from the Alliance, has already arrived in Turkey. They are planned to be deployed near the border with Syria, ostensibly to protect Turkey against possible missile attacks from the Syrian side. Published earlier on Global Research on 24 January and on Stop NATO on 23 January. 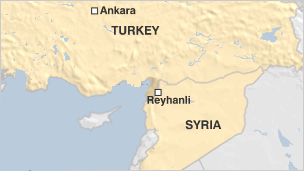 See also: Syria War Preparations: NATO Selects Patriot Missile Sites In Turkey of 5 Dec 2012. Turkish Labor Party Deputy Chairman: "We Have Clear Evidence That Turkish President Incited Terrorism and War on Syria"
ANKARA, (SANA) – Deputy Chairman of the Turkish Labor Party Hasan Basri Ozbey denounced the position of Turkish Abdullah Gül who is encouraging terrorists to commit crimes in Syria, saying that the Labor Party will file a complaint against Gul to try him in the Higher Court. 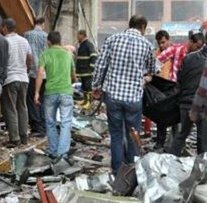 He said that Gül’s statement after the terrorist bombing that targeted the National Security HQ in Damascus was shameful and disgraceful to Turkish citizens, affirming that Gül didn’t fulfill his duties and responsibilities as a statesman towards an act of terrorism against the officials of a neighboring country. See also: Turkey's Intervention In Syria Could Backfire of 3 Aug 12 by Ilya Kharlamov. Read more about Turkish Labor Party Deputy Chairman: "We Have Clear Evidence That Turkish President Incited Terrorism and War on Syria"
Edward Cranswick reflects upon the significance of his grandfather's death at Beersheeba on 31 October 1917 where Australian soldiers on horseback charged Turkish positions in the struggle for oil which was to ironically destroy the culture of the horse in the 20th century.